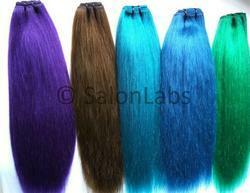 With the help of our expert professionals, we have been able to offer Machine Weft Silky Straight Hair. We offer these products in compliance with requirements of our clients. Procured from the reliable vendors of the market, these products processed using excellent quality hairs and advanced technology. 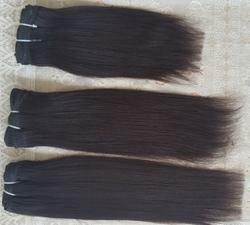 Justifying our reputation in this market, we are readily immersed in the arena of offering to our patrons a broad consignment of Machine Weft Straight Human Hair. We introduce our business as a noteworthy organization of qualitative array of Long Straight Hair .